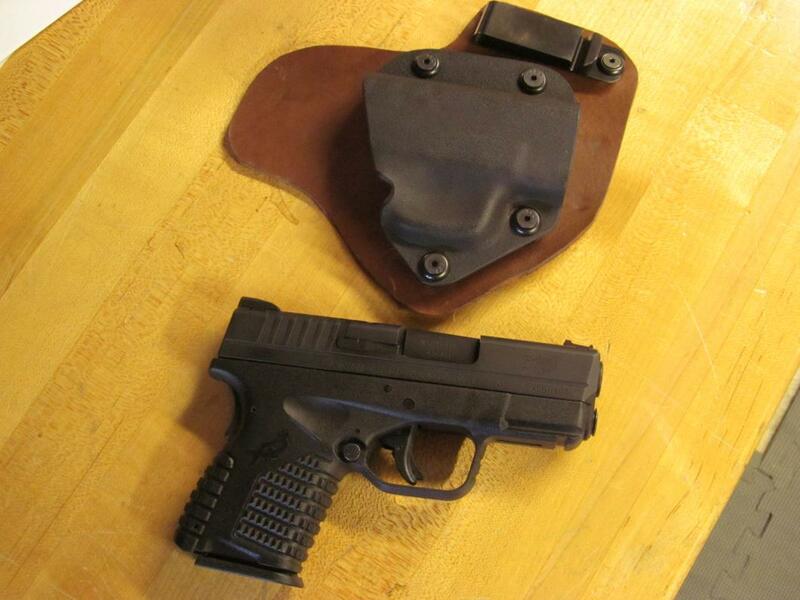 I was having a hard time finding a good iwb holster for the Shield that takes advantage of it being so slim. I tried a few nylon ones that actually made the Shield feel big.. I took a chance and ordered this online from jdholsters.com for $20. It is a Desantis Pocket-tuk, build and quality are top notch, it fits the gun great, and I can wear it fine in shorts and a tee shirt. 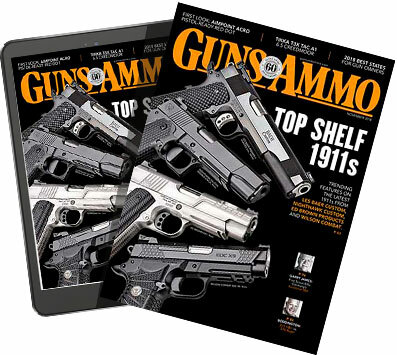 The clip is adjustable and removable if you want to pocket carry. I wear my clothes kinda fitted so unless you have big pockets it wouldn't work. 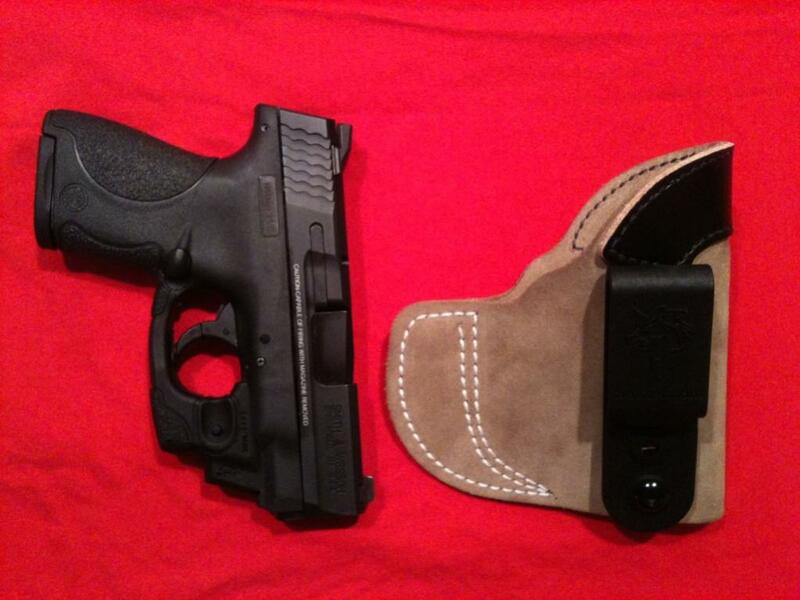 Also if I find a better holster down the road this also fits my xd9, and pt140. Overall great holster for only $20!! 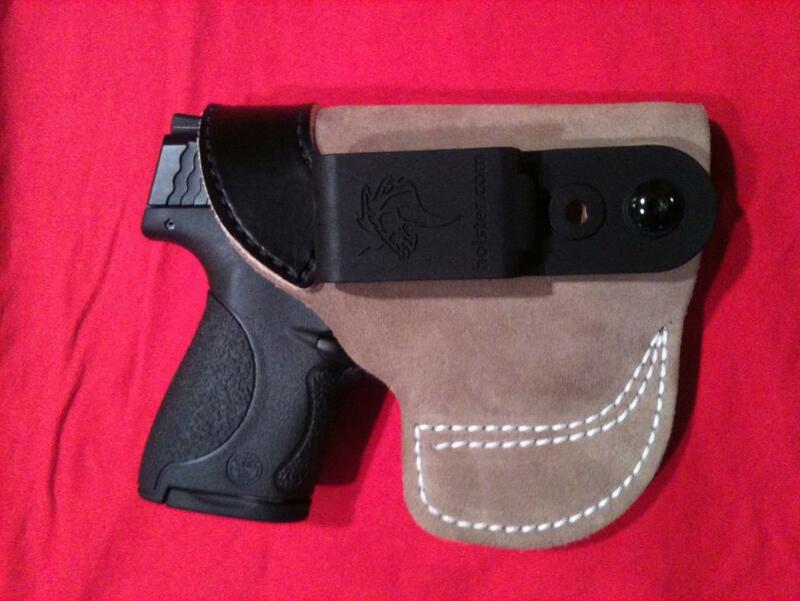 This holster also works with the glock26 and ruger lc9 with laser. I looked at the Desantis for my XDs but decided to make this one, inspired by the PHLster ACCESS. I ordered the pre-molded Kydex and the clip from Old Faithful and had all the rest. It only adds the thickness of one piece of Kydex (.09) and one piece of leather (.1). It rides well and is very comfortable. 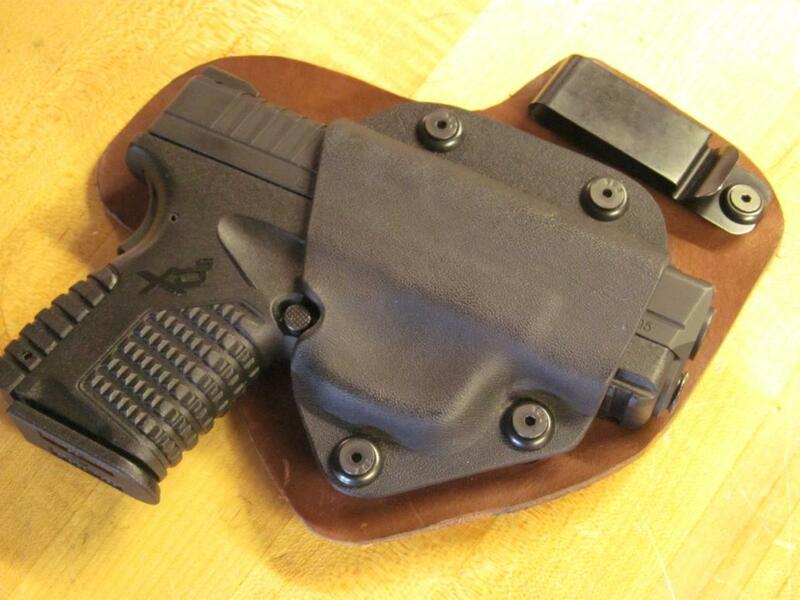 The key to this style of holster is to get the leather broken in and soft. That Desantis Pocket-tuk looks useful.